I was once accused of wasting space at my allotment by growing too many flowers. Yes I agree, if I didn’t grow so many flowers I would have more space for vegetable plants. However, I strongly believe I would also have fewer vegetables to harvest, as there would be less insects around to pollinate my crops. You only need to stand and watch a wild flower patch to see the buzz of activity there. In fact I’ve been watching my wildflower patch and it’s absolutely amazing to watch. As an organic gardener, I encourage beneficial insects into my plot , as they keep the ‘bad bugs’ at bay. You only have to watch blackflies, as an example, as within a few days you will see the ladybirds having a feast on them. I don’t use pesticides as these will not only kill the ‘bad’ insects, but it will also kill the ‘good’ ones too. I try to let nature do the work for me. Ground beetles – Ground beetles are nocturnal and they are great for keeping night time pests at bay. They like to eat cut worms, slugs, snails, caterpillars, aphids etc. They like to overwinter in perennial plants. Ladybirds (sometimes called Lady beetles or lady bugs) – Ladybirds love to eat aphids, scales, spider mites, mealy bugs, etc. which is why most people recognize these as a beneficial insect. It’s their larvae that eat the most of the ‘bad’ insects and can get an infestation under control in no time. Ladybirds are attracted to the parley family i.e. parsley, dill, fennel, carrots etc. The best way to attract beneficial bugs to your garden is to follow basic organic gardening practices i.e. by not spraying chemicals, using mulches and diversifying your planting. Don’t expect results to happen overnight, as it can take some time. My wildflowers are a good example of how the beneficial insects are attracted, you only need to look to see the insect activity that now goes on there. 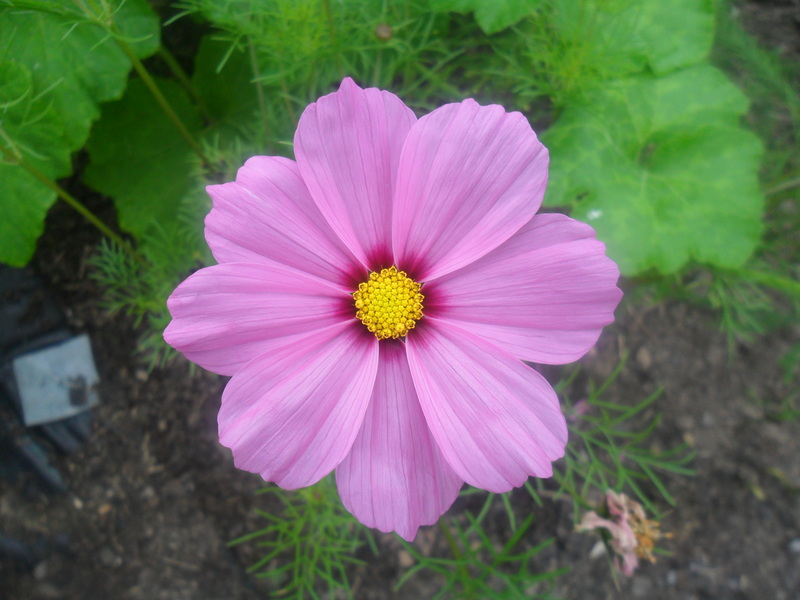 Below is a gallery of the flowers I’ve planted on my plot this year. Please feel free to comment at the bottom of the page, as I’d love to hear your views and ideas. The flowers are so pretty! I never think it is a waste to plant flowers. Our big garden is between farm fields, so no one sees it but us, but we still plant a variety of different sunflowers to make it pretty. Sort of.. At this time of year, our garden is quite wild. I really love sunflowers and they are great food for the birds. Do you eat the seeds? No, we leave them for the birds. And they self seed along the fence and come back again the next year. 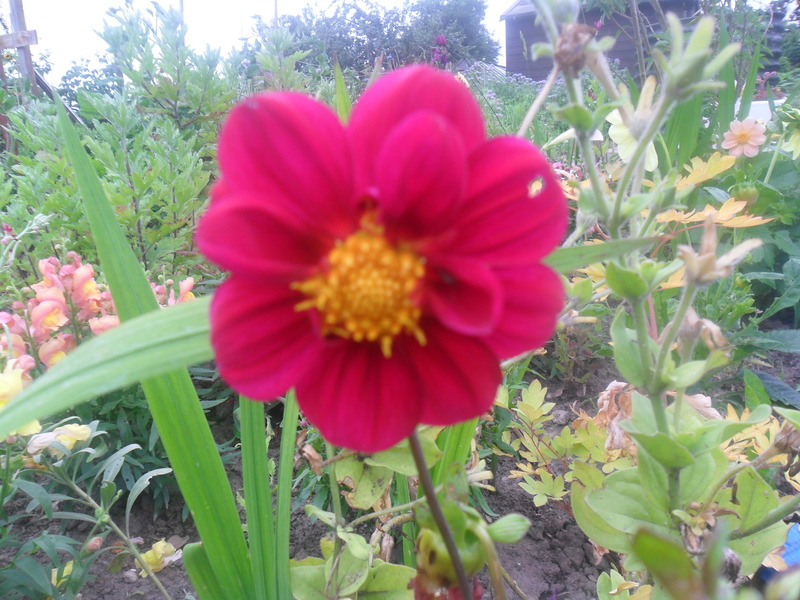 I say , I wasted my allotment by not planting these beautiful flowers for 3 years .. I am not very good in gardening ..Just learning now and I grow nothing .. But this year I will grow lots and lots of flowers in my allotment .. It is so lovely having flowers at your allotment to look at and the insects buzz around enjoying them and then pollinate your crops in return. It is so easy to buy a packet of wildflower seeds and rake them into your soil….give them a quick water and they nearly always grow.